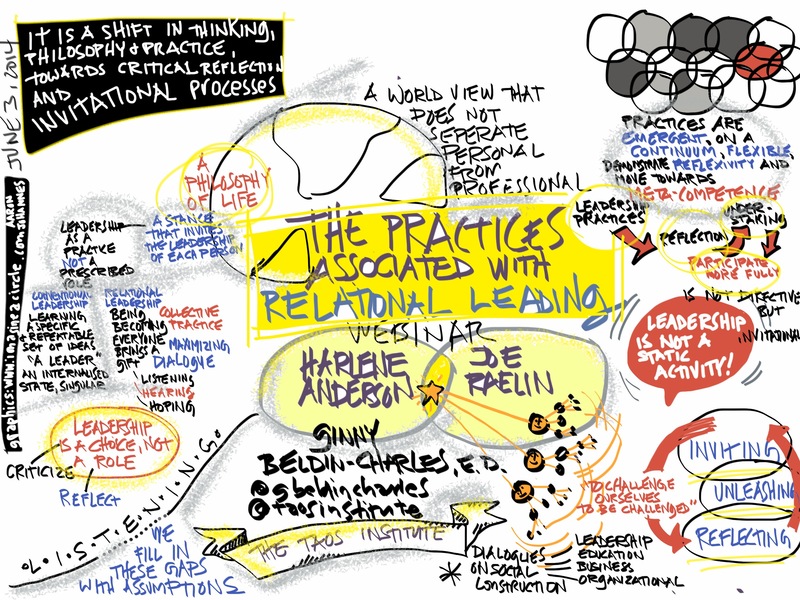 A lot of my work over the last few years, and my thesis (which led to many of the ideas in this presentation) has led me to the idea of relational leadership so I’ve been fascinated to discover Kenneth Gergen and the Taos Institute and its affiliates working hard to figure out what the new patterns and methods might be. They recently hosted a series of conversations by webinar – still available to watch here – and I was able to get to a couple of them. Now I want to graphically record all of them – such exciting thinking.